New Delhi: Pantaloon Retail India Ltd, the country’s biggest publicly traded retailer, said malls are waiving rents and offering to pay for interior decoration as excess supply and slowing economic growth erodes demand. 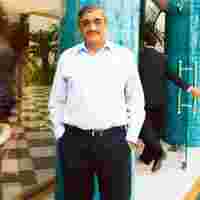 Developers are ready to “pay us for coming into the malls," Kishore Biyani, founder and managing director of Pantaloon, said in a phone interview from Mumbai, where the company is based. “They need anchor clients like us to bring in other clients." India’s shopping centres are facing excess supply and slowing demand after mall rents almost doubled in two years. Malls in the nation’s top eight cities have about 20% of their total 40 million sq. ft of space vacant, according to real estate broker Cushman and Wakefield Inc. The company, which soon plans to sign such agreements with mall developers, is also scrutinizing its own spending and costs more carefully. “Every proposal and capital expenditure is being carefully examined and we are not getting into anything that may be marginal," Biyani said. Retail rents rose sharply in the past two years as Reliance Industries Ltd, the nation’s most valuable company, and Bharti Group, which runs India’s biggest mobile phone operator, started running stores. India’s $1.2 trillion (Rs56.4 trillion) economy, Asia’s third largest, expanded 7.9% in the three months ended June, the weakest pace since the last quarter of 2004. It’s “premature" to say whether and how much India will be affected by the credit crisis (in the US) as “there’s no clarity" on how that will affect consumer behaviour in India, Biyani said. Consumer spending and same-store sales will continue to grow and Pantaloon will stick to its target of adding as much as 16 million sq. ft of store space in the 12 months ending June next year, he said. Pantaloon Retail said same-store sales in August rose 13% to Rs524 crore from a year earlier. Total sales in August rose 53% to Rs717 crore, according to the company.